I provide effective defense strategies focused on results. I work to protect your best interest. I will treat you like the individual that you are. I will fight... for you. You deserve experienced and effective representation at a reasonable price. Have you or someone you know been arrested for a drunk driving offense? 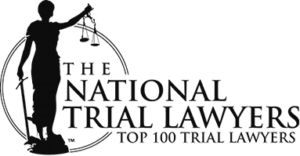 I represent individuals who have been arrested for driving under the influence (DUI) or while impaired (DWI) by alcohol throughout Maryland, including, Montgomery, Prince George's, Frederick, and Howard Counties. Whether you have failed a Standardized Field Sobriety Test, refused to take a alcohol breath test or failed it, I am ready to make sure your rights are protected. Don’t Plead Guilty to Charges. Do not make the error of thinking you will automatically be convicted. See how I can help you. When you are arrested for a DUI/DWI in Maryland, you will have to face both MVA License Suspension Penalties and Criminal Penalties. These are two separate processes. More importantly, in Maryland, you have 10 days to make a decision on whether requesting an MVA hearing challenging your suspension or requesting a modification of the suspension is in your best interest. 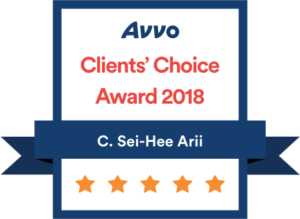 Contact me today to begin your free consultation. Getting arrested is one of the most traumatizing and scary things that could happen to you. As a result, I may be meeting you as you are experiencing one of the worst times in your life. My first goal is to assure you that it is not as bad as it seems. There are solutions. I will make it my job to thoroughly understand your specific situation and tailor a resolution to your exact needs. My approach is to clearly explain all of the possible outcomes. After determining the best strategy, I will prepare you for your day in court step by step. Aside from dealing with the legal challenges, I consider it part of my job to ease your worries. It is important to me to hear all of your concerns. It is also important to me to offer you competitive rates. I believe everyone, has the right to a robust legal defense. 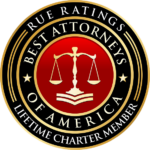 I have an excellent track record of getting charges dismissed or reduced to a lesser charge. More than anything, I want you to get the help that you need. Sometimes bad things happen to good people. When they do, I will be there to help. Because the stakes are so high, it is important to work with someone with experience and a proven track record. 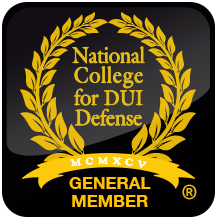 I have over 15 years experience in DUI/DWI defense. 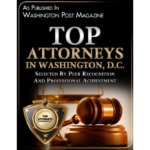 I have been included in both the Maryland and DC Super Lawyer's list since 2010, an honor given to the top 5% of attorneys in the area. 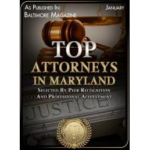 In 2018, I was one of 13 lawyers listed in the published Maryland Super Lawyer's magazine under their category for DUI/DWI Defense Attorneys. If your license was taken away from you upon your arrest for DUI/DWI, you were most likely issued a “Temporary Driver’s License”. This white piece of paper authorizes you to continue driving for 45 days. After the 45th day, your license will be suspended, unless you timely request a hearing (10 days to guarantee the extension or 30 days to guarantee a hearing, but possibly not an extension of your temporary license*) and the MVA sends you a notice extending your temporary license. The length of your suspension depends on whether you agreed to take the breath/blood test and the test result.